Blendo is a classic of magic, and this is a fine version: high quality, and well-made. 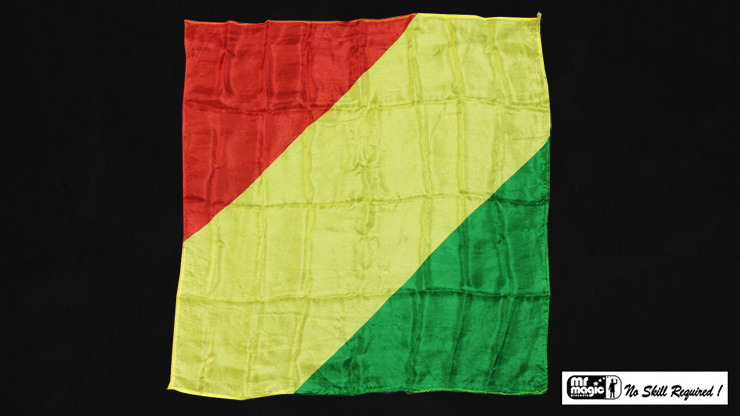 In effect, three silks are shown: one green, one red and one yellow. They are dropped into a bag and once removed, they are found to be tied to one another with knots. With a wave of your hand, make the knots disappear, only to show that the three silks have now combined into one tri-colored silk!